Composed of luxurious genuine cowhide leather and high quality gold tone hardware makes this bag fishable and chic. You deserve it. Please pay attention on the size, this is a MINI bag. - Mainly made with high-grade durable leather, classical and refining design. - Shiny gold tone hardware, chic and fashion looking. - Scientific and reasonable compartments, makes your goods lay in the bag systematically. - This bag will be delivered within 1-2 days after we get your purchase, it will takes 5-10 days to arrive at your place, we offer free shipping and fast delivery. 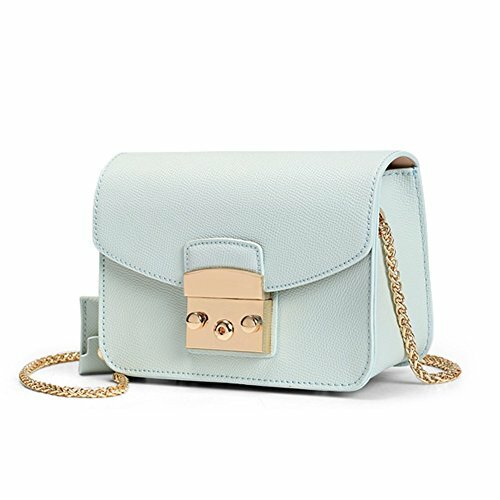 Chain cross body shoulder strap. Statement metal push lock closure. Comes with protective dust bag. We use fast delivery, it always takes 7-10 days to arrive at your place (USA). If you have any questions about this product by ACTLURE BAG, contact us by completing and submitting the form below. If you are looking for a specif part number, please include it with your message.